With Lok Sabha Election 2019 being just upon us, political parties are pulling all stops to ensure their message reaches the masses. One way to ensure this is the popular practice of releasing party songs and 'winning call' slogans. The Bharatiya Janata Party (BJP), for instance, launched its campaign song — "Chalo Ek Baar Phir Ham Modi Sarkar Banate Hai/Garv Ke Sath Desh Ko Age Badhate Hain/ Phir Se Kamal Khilate Hai (Let's e lect Modi government again, lets move the country ahead with pride, let's help the lotus bloom again)". The party also released a set of videos as part of its campaign focusing on schemes like Ujjawal, Saubhagya and some of its tough decisions taken against terrorists. On Sunday, the party also unveiled its campaign logo, tagline and theme song for the upcoming general polls with the slogan "Phir Ek Baar Modi Sarkar" (Modi once more) to seek a second consecutive term for Prime Minister Narendra Modi. While the main song focuses on Modi's re-election, the other three talk about the party's development plank. Launching the theme song, Finance Minister Arun Jaitley had said that these songs refer to a kaam karne waali sarkaar (a government that works), an imaandar sarkaar (an honest government) and to the work of bade faisle lene waali sarkaar (a government that takes decisive steps). 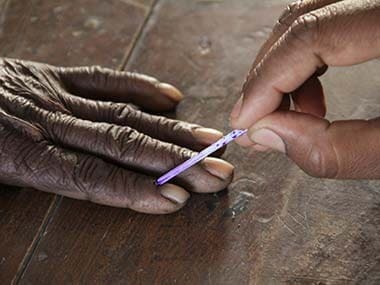 Earlier the same day, Congress also launched its campaign for the elections with a song — 'Ab Hoga Nyay (There will be justice now)' — a slogan that is woven around the flagship Basic Minimum Income Scheme 'Nyay'. It also indicates the "anyaya" (injustice) that the country had to go through under the BJP-rule. The main theme song 'Main Hi Toh Hindustan Hoon' of the Congress campaign has been written by revered lyricist and poet Javed Akhtar. Besides, the B JP and the Congress, regional parties too have been actively involved in their musical campaigns. 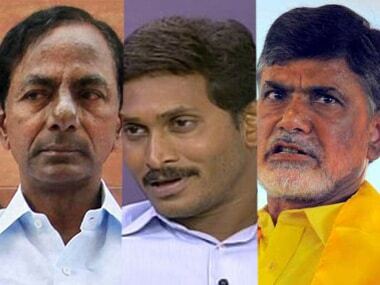 TDP chief N Chandrababu Naidu has not only been critical of the 'behind-the-door' association of Modi, K Chandrasekhar Rao and YS Jaganmohan Reddy and accused them of hatching a conspiracy against, he has also come out with a musical rendition of his own trials and tribulations because of the “conspiring trio” through a campaign song. The TDP campaign song, 'Sila Mose Gaayale', draws a parallel between Naidu and a stone that has to undergo much hewing before being carved into a fine statue, and says the wounds left behind, thus, have reduced people to tears. The song also features YSRCP MP Vijay Sai Reddy, BJP president Amit Shah, and Union Finance Minister Arun Jaitley who all allegedly betrayed him after the bifurcation of Andhra Pradesh. The song video shows various construction sites of the new capital indicating that while Naidu is working tirelessly for the state he is being “harassed” by his adversaries. Even Jaganmohan Reddy has a campaign song, 'Ravali Jagan Kavali Jagan', for him and its makers claim the song has over 10 million hits on YouTube. The song, which means “Jagan is coming, we want Jagan”, sounds like a marching song as it highlights the year-long padayatra by Reddy prior to his election campaign. The slogan was coined in 2018 and under the banner, the party cadre earlier ran a massive outreach programme to highlight Jagan Mohan Reddy’s poll promises. The accompanying video has black and white footage of the padayatra of his father YS Rajasekhara Reddy which had propelled him to the chief minister’s office. Apart from them, another south-India leader, Jana Sena chief Pawan Kalyan too has his own song for campaigning. Reportedly, the trend of campaign songs was initiated into Telugu politics by actor-turned-politician NT Rama Rao who had founded the TDP. Regionally, also chief ministers and state leaders are trying their best to woo in voters through song and dance which are good props for viral social media content. Madhya Pradesh chief minister Kamal Nath launched the state Congress campaign theme song for the Lok Sabha elections. The track is titled, “Pukare Madhya Pradesh … Desh Ke Dil Se Dilli Tak… Ab Congress...” (Madhya Pradesh says, from the heart of the country to Delhi, it will only be the Congress party). The party’s state campaign committee prepared this song after its Assembly election campaign track “MP Pukare Dil Se, Waqt Hai Badlav Ka” became popular last year during the 2018 Assembly election. BJP's Assam Unit also released its campaign songs “Akou Ebar Modi Sarkar” and “Amio Chowkidar” in the presence of BJP spokesperson Pabitra Margherita, famous Assamese actor Jatin Bora, actress Aimi Baruah, singer Sajan Nayak, Bhagawat Pritam, Jayanta Bhagawati, Pranami Bhagawati, Moon Bezbaruah and BJP media convener Dewan Dhrubojyoti Maral.